Dr. Canada's research interests are in the area of health psychology. 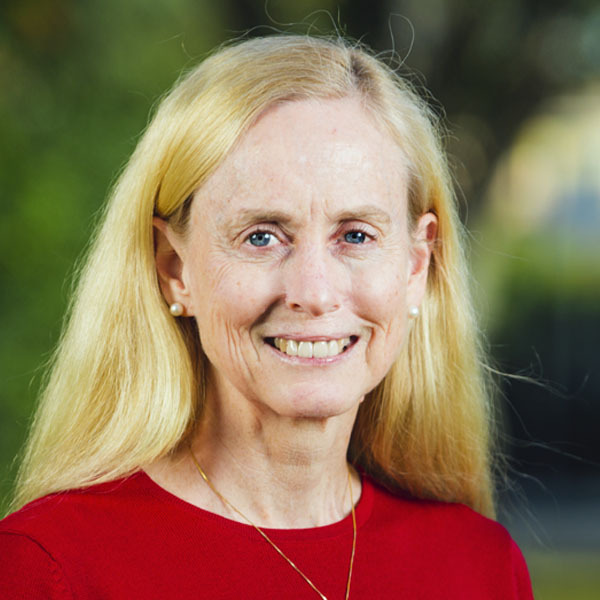 She teaches multivariate statistics, cognitive behavior therapy, religion and health, and psychology in medical settings in the graduate program. Wang, D. C., Canada, A. L., & Poston, J. M. (2016-2018). The multifaceted impact of graduate school debt on seminary students. Lilly Endowment. Funded: $44,586. Canada, A. L. & Fitchett, G. (2015). Religion/spirituality and cancer: A brief update of selected research. In J. Holland (Ed. ), Psycho-Oncology (pp. 503-508). New York, NY: Oxford University Press. Fitchett, G., & Canada, A. L. (2010). The role of religion/spirituality in coping with cancer: Evidence, assessment, and intervention. In J. Holland (Ed. ), Psycho-Oncology (pp. 440-446). New York, NY: Oxford University Press. Murphy, P. E., Fitchett, G., & Canada, A. L. (2008). Adult spirituality for persons with chronic illness. In V. Carson & H. Koenig (Eds. ), Spiritual Dimensions of Nursing Practice (pp. 193-235). West Conshohocken, PA: Templeton Foundation Press. Fawzy, F. I., Fawzy, N. W., & Canada, A. L. (2001). Psychoeducational intervention programs for patients with cancer. In A. Baum & B. Anderson (Eds. ), Psychosocial Interventions for Cancer (pp. 235-267). Washington, DC: American Psychological Association. Fawzy, F. I., Canada, A. L., & Fawzy, N. W. (2000). Cancer treatment. In G. Fink (Ed. ), Encyclopedia of Stress (pp. 376-380). New York, NY: Academic Press. Canada, A. L., Murphy, P. E., Fitchett, G., & Stein, K. (2016). Re-examining the Contributions of Faith, Meaning and Peace to Quality of Life: A Report from the American Cancer Society's Studies of Cancer Survivors-II (SCS-II). Annals of Behavioral Medicine, 50, 79-86. Canada, A. L., Fitchett, G., Murphy, P. E., Stein, K., Portier, K., Crammer, C., & Peterman, A. H. (2013). Racial/ethnic differences in spiritual well-being among cancer survivors. Journal of Behavioral Medicine, 36,441-453. Biegler, K., Cohen, L., Scott, S., Hitzhusen, K., Parker, P., Gilts, C. D., Canada, A., & Pisters, L. (2012). The role of religion and spirituality in psychological adjustment prior to surgery for urologic cancer. Integrative Cancer Therapies, 11, 212-220. Schover, L. R., Canada, A. L., Yuan, Y., Sui, D., Neese, L., Jenkins, R., & Marion Rhodes, M. (2012). A randomized trial of internet-based versus traditional sexual counseling for couples after localized prostate cancer treatment. Cancer, 118, 500-509. Canada, A. L., & Schover, L. R. (2012). The psychosocial impact of interrupted childbearing in long-term female cancer survivors. Psycho-Oncology, 21, 134-143. Canada, A. L. (2011). A psychologist’s response to the case study: Application of theory and measurement. Journal of Healthcare Chaplaincy, 17, 46-54. Levine, J., Canada, A. L., & Stern, C. J. (2010). Fertility preservation in adolescents and young adults with cancer. Journal of Clincal Oncology, 28, 4831-4841. Murphy, P. E., Canada, A. L., Fitchett, G., Stein, K., Portier, K., Crammer, C., & Peterman, A. H. (2010). An examination of the three factor model and structural invariance across racial/ethnic groups for the FACIT-Sp: A report from the American Cancer Society’s Study of Cancer Survivors-II (SCS-II). Psycho-Oncology, 19, 264-272. Canada, A. L., Murphy, P. E., Fitchett, G., Peterman, A. H., & Schover, L. R. (2008). A 3-factor model for the FACIT-Sp. Psycho-Oncology, 17, 908-916. Canada, A. L., Schover, L. R., & Li Y. (2007). A pilot intervention to enhance psychosexual development in adolescents and young adults with cancer. Pediatric Blood & Cancer, 49, 824-828. Canada, A. L., Parker, P. A., Sterner, J. M., Basen-Engquist, K., Ramondetta, L. M., & Cohen, L. (2006). Active coping mediates the association between religion/spirituality and quality of life in ovarian cancer. Gynecologic Oncology, 101, 102-107. Canada, A. L., Fawzy, F. I., & Fawzy, N. W. (2005). Personality and disease outcome in malignant melanoma. Journal of Psychosomatic Research, 1, 19-27. Canada, A. L., & Schover, L. R. (2005). Research promoting better patient education on reproductive health after cancer. Journal of the National Cancer Institute: Monographs, 34, 98-100. Canada, A. L., Neese, L., Sui, D., & Schover, L. R. (2005). A pilot intervention to enhance sexual rehabilitation for couples after treatment for localized prostate cancer. Cancer, 104, 2689-2700. Fawzy, F. I., Canada, A. L., & Fawzy, N.W. (2003). Malignant melanoma: Effects of an early structured psychiatric intervention on survival and recurrence at 10-year follow-up. Archives of General Psychiatry, 60, 100-103. *Hyun, J. I., Kim, C. L., & Canada, A. L. (2016, August). Facilitating South Koreans’ help-seeking attitudes toward mental health services. Poster session presented at the annual meeting of the American Psychological Association, Denver, CO.
*Tilka, N., Canada, A. L., Schover, L. R. (2015, April). Attitudes toward parenthood after cancer. Poster presented at the 36th Annual Meeting of the Society of Behavioral Medicine, San Antonio, TX. *Moradshahi, M., Hall, T. W., Wang, D., & Canada, A. L. (2015, March). The Spiritual Narrative Questionnaire and Spiritual Narrative Analysis: Initial development and psychometric properties. Paper presentation at the American Psychological Association’s (Division 36) Midyear Research Conference on Religion and Spirituality, Provo, UT. Murphy, P. E., Canada, A. L., Fitchett, G., Stein, K., Portier, K., Crammer, C., Peterman, A. H. (2009, April). An examination of the three factor model and structural invariance across racial/ethnic groups for the FACIT-Sp: A report from the American Cancer Society’s Study of Cancer Survivors-II (SCS-II). Paper presented at the 30th Annual Meeting of the Society of Behavioral Medicine, Montreal, Canada. Fitchett, G., Murphy, P. E., Canada, A. L., Stein, K., Portier, K., Crammer, C., Peterman, A. H. (2009, April). Racial/Ethnic differences in spiritual well-being among cancer survivors. Paper presented at the 30th Annual Meeting of the Society of Behavioral Medicine, Montreal, Canada. Canada, A., Murphy, P., Fitchett, G., Peterman, A., & Schover, L. (2008, June). A three factor model for the FACIT-Sp. Paper presented at the 1st Annual Meeting of the Society for Spirituality, Theology & Health, Durham, NC. Canada, A., Murphy, P., Fitchett, G., Peterman, A., & Schover, L. (2007, March). A three factor model for the FACIT-Sp. Symposium conducted at the annual meeting of the Society of Behavioral Medicine, Washington, DC. Canada, A., Parker, P., Sterner, J., Basen-Engquist, K., Ramondetta, L., Cohen, L. (2005, May). Spirituality, coping, and quality of life in ovarian cancer. Paper presented at the meeting of the 4th International Conference on Cervical Cancer, Houston, TX. Canada, A. L., & Schover, L. R. (2005, January; 2006, April; 2008, March). The psychosocial impact of cancer-related female infertility. Paper Presentations at the Annual Long-Term Cancer Survivors Research Initiative Investigators’ Meetings, National Cancer Institute, Rockville, MD. Canada, A. L. (2004, September). Educating the AYA patient on reproductive health after cancer. Paper presented at the meeting of Adolescent/Young Adult Symposium, UT M. D. Anderson Cancer Center, Houston, TX. Canada, A. L. (2004, March). Research promoting better patient education on reproductive health after cancer. Paper presented at the meeting of Parenthood After Cancer: Today’s Options and Tomorrow’s Hopes: A Multidisciplinary Conference. Houston, TX.